Starting with version 4.5.1, PicsPro for Picasa includes Chromecast support for full screen online media. To use the Chromecast functionality, please read the steps below. 1. Make sure your Android device and your Chromecast are on the same WiFi network, otherwise the Chromecast cannot be detected. 2. Once the Chromecast device is detected, you will see a Chromecast icon in the top-right menu of any online PicsPro section, as shown below. 3. 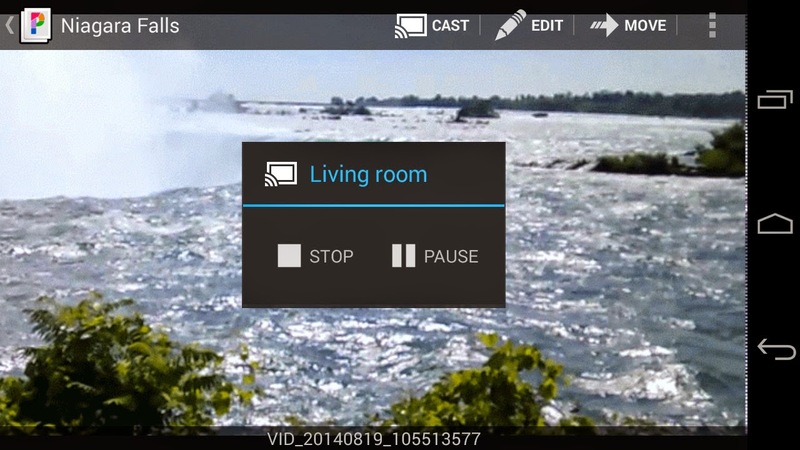 Tap on the Cast icon and you will be prompted to select a Chromecast device. In this case, I have only one Chromecast device called "Living room"
4. 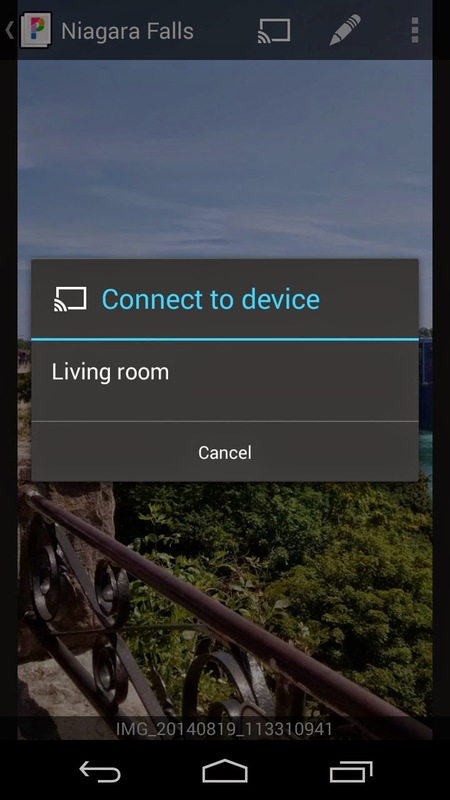 The app will connect to your Chromecast device. This may take a couple of seconds. Once connected, the Cast icon will be displayed with a white fill, as shown below. 5. As mentioned before, only online full screen media will be "chromecasted". If you are not in a full screen view, you have to navigate to one. Displaying local media is not possible at this time. 6. 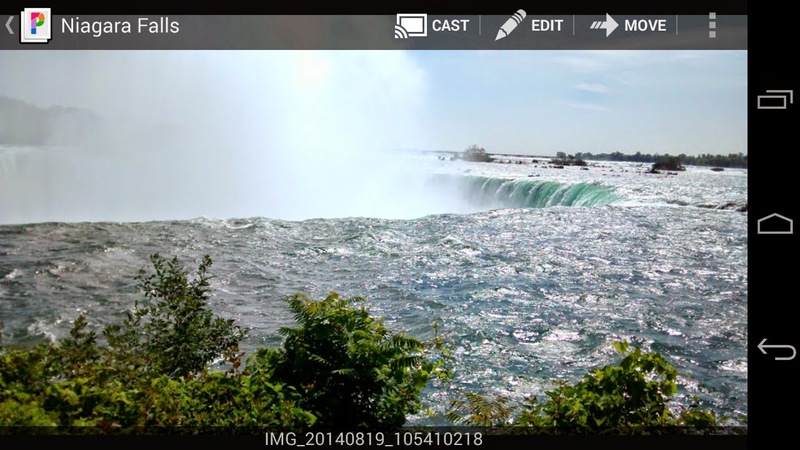 Online Picasa Web videos can also be played to the Chromecast. Just press the big "play" button and the video will start playing through your Chromecast. While the video is playing, a "control box" like the one below will be displayed, allowing you to pause or stop the video. While playing videos, you can adjust the audio volume by using the "volume up" and "volume down" buttons on your device. 7. The online media (photos or videos) will continue to be displayed when you switch to another app on your Android device. 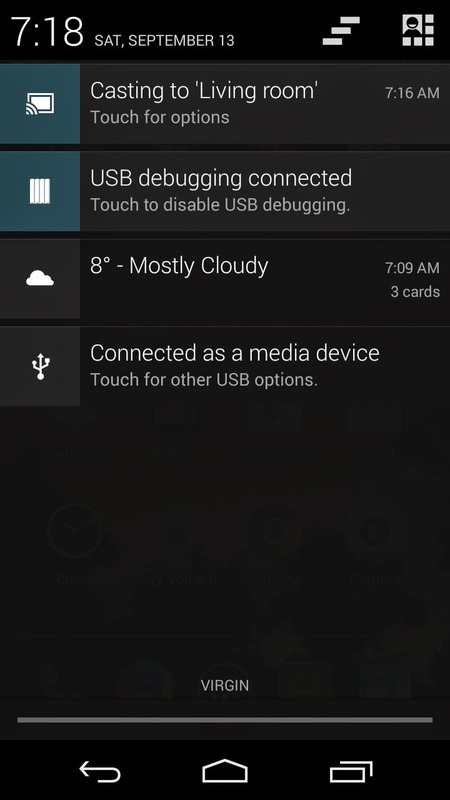 A Chromecast icon will be displayed in the notification area as long as you are connected. 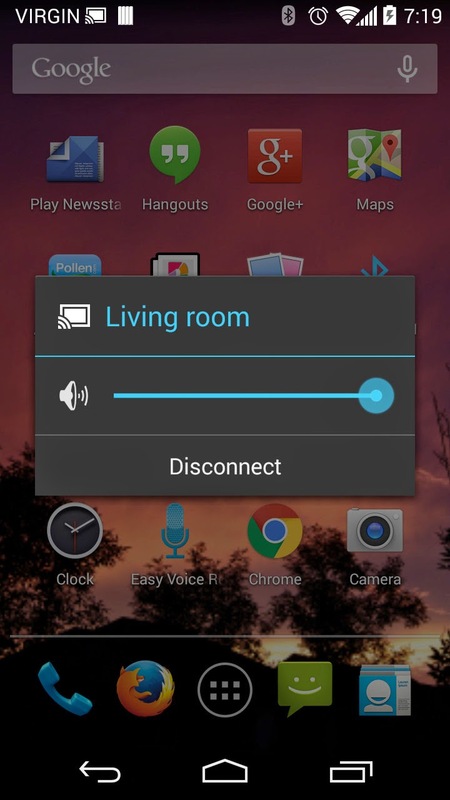 By dragging-down that notification and tapping on it, you can change the audio volume or disconnect from Chromecast. If the volume is too low, you can further increase it by using the remote control of your TV (or the device to which your Chromecast is connected).